Racquetball Insurance for youth and adult teams, including General Liability, Accident, Crime and Equipment and Directors & Officers Liability. Athletes and fitness enthusiast enjoy the game of racquetball. 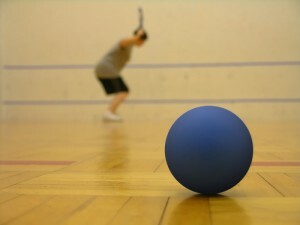 Some gyms offer racquetball courts as a way to enhance the workout experience. As a result, there are a lot of beginners to the sport, creating additional opportunities for injuries. The risk of injuries increases with the beginners because they are not as familiar with the game and how to feel how far away the other player is.